Coming from both sides of the England/Scotland border, a steady flow of cattle and dairy farmers are braving the heavy rain in Hexham, Northumberland to hear the latest on CAP Reform, Catchment Sensitive Farming and cattle movements today at Beef Expo 2014’s Defra stand. Many are seeing CAP Information Service, the new single online application and payment service for all CAP schemes, for the first time. Most of the 40 to 50 farmers who have looked at it so far during the show today find it pretty straightforward. They're also interested in hearing when the final policy decisions will be made, so they can plan their planting and get their heads around greening requirements. 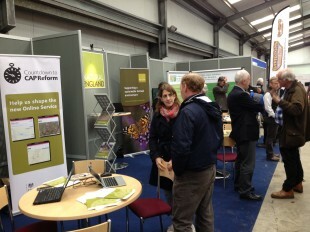 The new CAP Reform leaflets are proving very popular. Of particular interest is the timeline in the latest leaflet, which sets out the key dates for CAP Reform to July 2015. 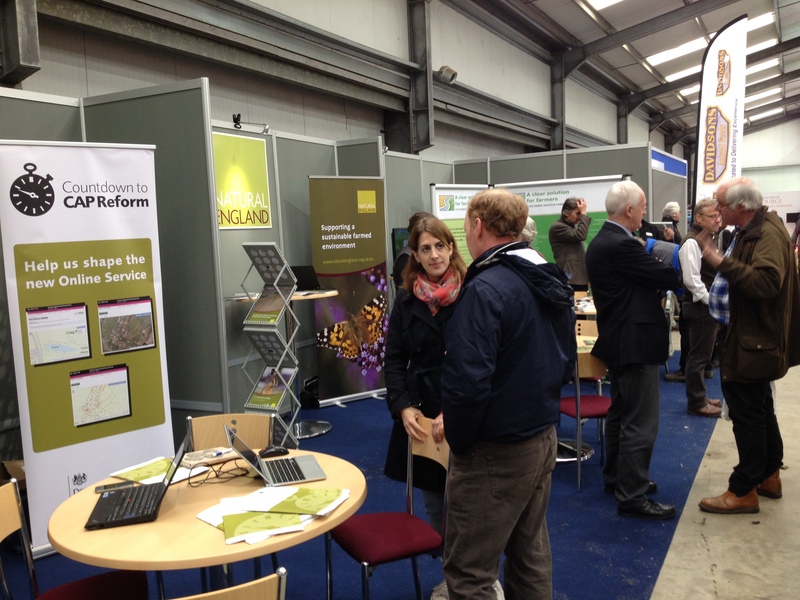 Having Defra, Natural England and the Rural Payments Agency side by side on one stand at this event means we've got experts on hand answering questions and giving advice on the environmental schemes, new Basic Payment Scheme, SPS 2014 and the new online service, CAP Information Service. The joint stand will be touring a range of national shows over the summer, with The Cereals Show 2014 next on 11 and 12 June, so why not come along and hear the latest?